Available in 3 sizes, 245mm, 310mm and 360mm high. 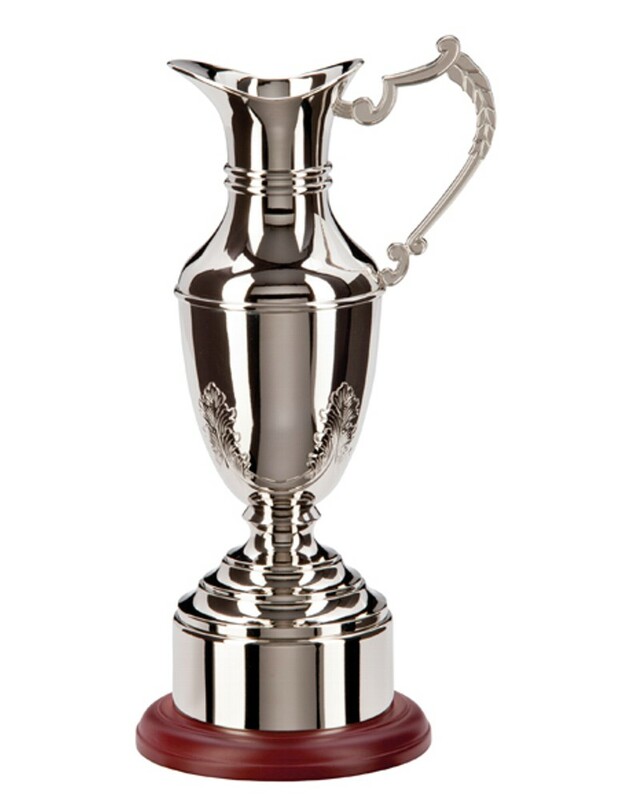 Nickel plated non tarnish claret jug complete with band finished on a wooden plinth. The jug and band can both be engraved for an additional charge. A perfect award for golf or any annual sporting achievement.